Is there anything more comfortable than cottonshorts? 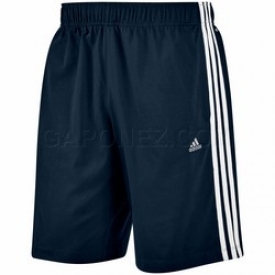 Only adidas Essentials 3-Stripes Shorts. The soft cotton isenhanced with CLIMALITE® to keep perspiration off your skin, whileflatlock seams add to the comfort. The fabric wicks and transports sweat away from the skin to the outer fabric face for quick evaporation. ClimaLite ® thus enhances the body's natural temperature regulation functions.